Headlining EthelFest 2012 will be Going for the One, America's premier Yes tribute, celebrating the music of one of rock history's most important and inspired bands. 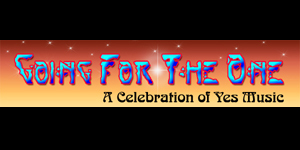 Formed in 2009, the group has performed widely throughout the East Coast and Midwest, building a reputation for exciting and dynamic shows that capture the energy and power of Yes during their peak years of the 1970s. This band, however, has never been west of the Cleveland area... so we're thrilled they agreed to come all the way to Chicago! The current show blends tracks drawn from The Yes Album, Fragile, Close to the Edge, Going for the One, and other Yes albums from the 70s. Past tours have been devoted to entire albums, including Yessongs, Close to the Edge, and The Yes Album. Going for the One is not a literal recreation of Yes, but rather a group of talented musicians who strive to preserve and continue the tradition of classic Yes music and performance. The band's goal is clear: a celebration of Yes music. Projekct: Chicago is a group of highly trained musicians from Chicagoland. At the core of the group is Frank Alongi and his father Joe Alongi. Together they've put together several groups for the "Classic Album Series" at Reggie's on State. 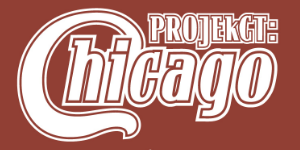 The goal of Projekct: Chicago is to perform the music of early Chicago and Chicago Transit Authority. Chicago's early releases contain impressive, varied compositions, and the releases were experimental for their time. Hope you are at EthelFest 2012 to see this smokin' tribute. 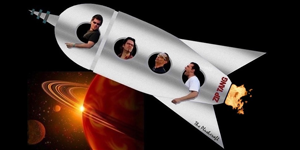 The opening band at EthelFest 2012 will be the super unknown - Zip Tang. Who? These guys have been together for nearly a decade and have evolved from a prog cover band to an all-original space-prog-jazz-metal band that defies easy description. With three CDs to their credit (and a fourth well on its way), Zip Tang is known to a select few as one of Chicago's best kept secrets - performing live only once or twice a year. They will play mostly original music at EthelFest, but they will also dig deep into their catalog of material and treat us to some vintage prog as well.